The motto has become prevalent in Central Vermont, appearing on bright yellow receptacles for used clothing in the parking lots of gas stations, restaurants, and grocery stores, even in vacant lots. The organization’s fleet of trucks also bears the logo, like the truck featured below, but alongside images of people in need, evoking a desire to help in whatever way possible. Planet Aid’s collection point in Plainfield, at Lucky Day Ice, across from Maplefields. Locally, there many businesses hosting Planet Aid bins. Simon’s Gas Station, Maplefield’s, Central Vermont Memorial Civic Center, and the Vermont Foodbank are just a few examples. In East Montpelier, others include The Furniture Barn, and, until recently, Dudley’s gas station. 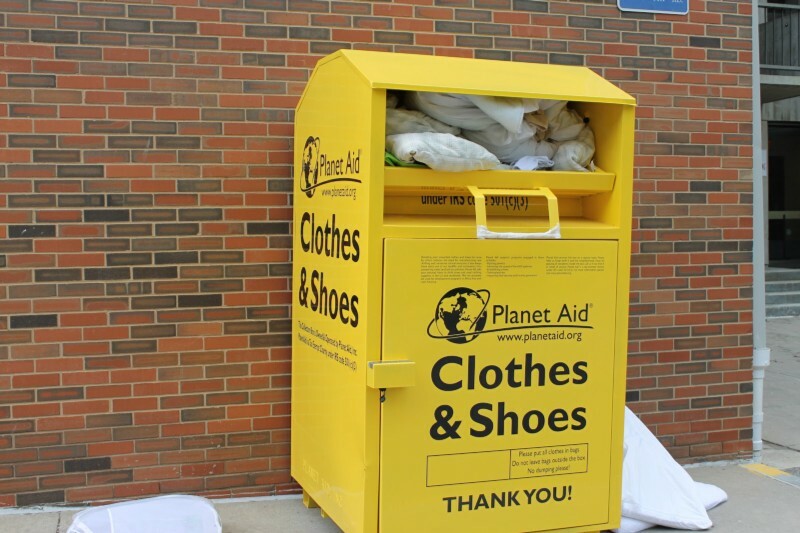 Once a bin is in place, Planet Aid employees check and collect clothing twice a month. 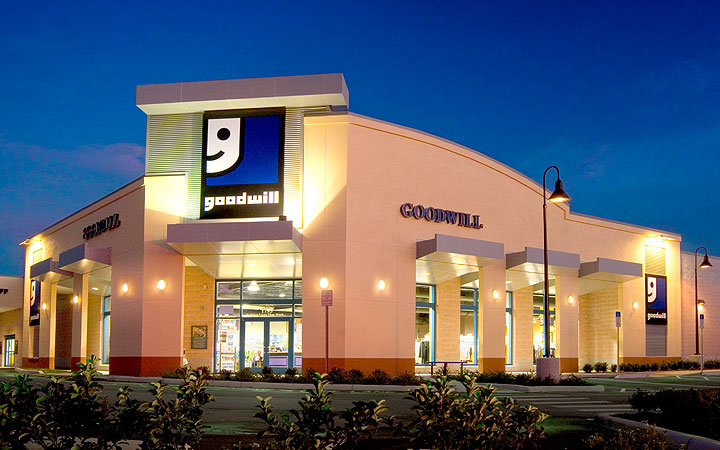 The hosting businesses receive 2 cents per pound of clothing Planet Aid collects from their location. However, both Dudley’s and The Furniture Barn indicated that they wished for East Montpelier Elementary School (EMES) to receive their profits. Unfortunately, the bin located at Dudley’s experienced some unwanted nighttime activity and impeded winter plowing. These issues, coupled with the owner’s position that “clothes shouldn’t go to people in third world countries with so many struggling here,” resulted in the recent removal of the Dudley’s bin. Before the bin’s removal, however, both Dudley’s and Furniture Barn were donating their checks from Planet Aid to East Montpelier Elementary School. According to the Administrative Assistant to the Principal at East Montpelier Elementary School, Karin Martin, the elementary school is not able to host a bin due to space-related issues. Ms. Martin did elaborate, however, on the ways in which the community, via the school, benefits from such an arrangement. “Currently, with the one bin we are generating about $50 quarterly,” which amounts to about 2,500 lbs of donated clothing in a year. 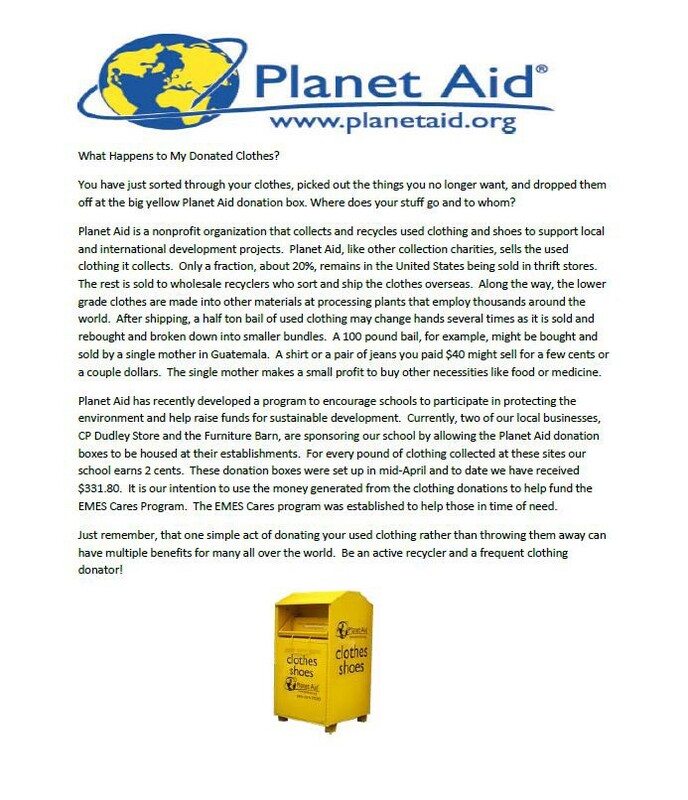 A page from East Montpelier’s newsletter from the 2013–14 school year promoted Planet Aid. EMES is not alone among schools in its partnership with Planet Aid. The newsletter references the involvement of over 40 other schools in Vermont (6), Massachusetts (12), and New Hampshire (22), including 7 colleges. Some familiar names include Colchester High School, Essex Elementary School, Otter Valley Union High School, and MIT. Every year, Americans donate millions of pounds of lightly-used goods to organizations such as The Salvation Army, Goodwill, Kiducation, Planet Aid and Humana People to People. The reasons vary, but most people agree that a large incentive is the knowledge that their contribution helps the poorer community around them. Salvation Army, for example, will collect unwanted items, refurbish them, sell the items at a cheaper price so they are affordable for all, and then give their profits away. However, Planet Aid’s donations do not impact the neighborhoods, cities, states, or even the countries where the bins collect clothes. The thousands of pounds of clothes are sold to other countries for profit. Some may find them grotesque, but Planet Aid’s network of bright yellow collection bins has rapidly spread, now encompassing more 22,000 locations spread over 22 states. These boxes can be found in all sorts of places: gas stations, high schools, and even next to abandoned buildings. However, the most noticeable trait of what Planet Aid calls “a hallmark for clothes recycling” is their frequency. The Planet Aid website only lists six bins in the 05602 and 05651 zip codes. In one short drive we counted 18 bins within ten minutes of U-32. Some of these boxes were even within sight of one another. Although this seems wasteful, according to Planet Aid it’s actually necessary for their recycling program. Their website lists five academic studies from 2006 to 2012 that examine recycling behavior. Each report links increased recycling with convenience. By their logic, making more bins available will make people more likely to recycle. However, this rationale is only legitimate to a point. Using an extreme example, putting hundreds of bins in a single neighborhood will not result in any more recycling that could have been accomplished with one or two; there is only a finite amount of material to be recycled. While more data would be needed to verify this, it seems that Planet Aid has exceeded the need of the area. Despite their rapid growth and relative success, Planet Aid continues to be mired in controversy and conflict. On the Planet Aid website, the words “Planet Aid is a 501(c)3 nonprofit organization that collects and recycles used textiles” are written at the top of the page. Although this may be true, Planet Aid is owned by a for-profit company, and the vast majority of the money they receive from selling their donations does not help developing or third world countries. On their 2010 tax return, Planet Aid listed revenue of almost $36 million, but, according to CharityWatch from the American Institute of Philanthropy, “Planet Aid spent only 34 percent of that money on program services to help the needy.”In recent months, some cities have been questioning the legitimacy and purpose of the Planet Aid bins. Two cities in Michigan , St. Johns and Ypsilanti Township, banned the collection boxes. They did so citing an ordinance, as reported by The Detroit News, “that prohibits entities from having unrelated activity on their property.” To the towns, the Planet Aid bins violated this by being unconnected to the grocery stores and parking lots they inhabit. Ypsilanti Township Attorney Doug Winters did further research into Planet Aid to try and give reasoning for the ban. He found that the clothes collected in their city were exclusively sold internationally, and found other investigations proving that the donations seldom went to charitable purposes. Planet Aid was founded in Massachusetts in 1997. The charity’s founder, Mikael Norling, is as interesting as his name. According to Humana Alert, the 63 year old was born in Scandinavia in 1952, later moving to Denmark to further his education. While in the country, Mikael discovered the Travelling Folk High School and Teachers Group. As a part of those organizations, Mikael was known for being a political firebrand and is now one of the most senior members of the Teachers Group. In 1980, he acquired a visa and moved to the United States. Six years later, while living in Boston, Massachusetts, he and fellow Teachers Group member, Ester Neltrup, founded the International Institute for Communication and Development: Massachusetts, a nonprofit dedicated to harnessing the rapidly changing communications market to aid those in need around the globe. 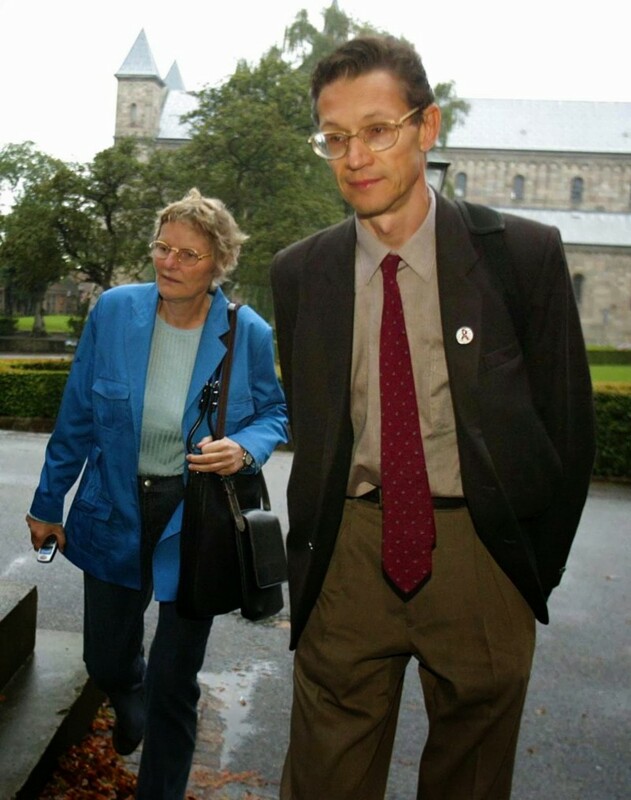 Working closely with Ester and other members of the Teachers Group, Norling finally created the multi-million dollar nonprofit Planet Aid. In addition to running Planet Aid’s fundraising headquarters in New York, Mikael Norling still plays a large role in the Teachers Group, pioneering the financial structures of its many charitable endeavors. Planet Aid has grown exponentially over the years. According to Metropolis, in 2007 Planet Aid sold 7.5 million dollars worth of clothing. Over the next four years that number grew to 34.5 million dollars. The cause of this explosion in growth is relatively unknown, but it may have to do with the amount of money Planet Aid claims to donate to charity. Planet Aid’s finances have been opaque. A public tax form shows that Planet Aid only gives 29% of its revenue to charities, leading one to speculate where the rest of the money goes. 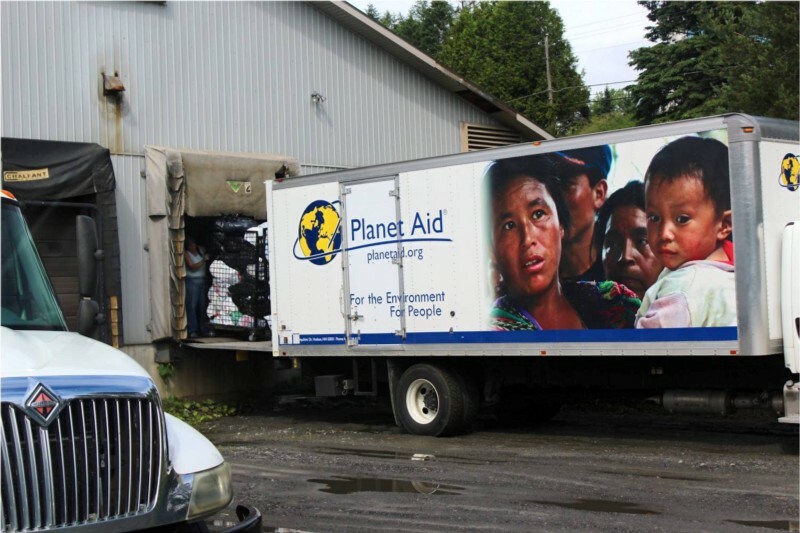 According to Planet’s Aid’s website, once clothes are dropped off in the bins, a truck picks them up and takes them to one of the 12 available warehouses. The clothes are then packaged carefully in plastic wrap and bundled together in 1,000 pound bales. Half of the clothes are sent to recycling centers while the other half are sold, some to U.S. thrift stores, but most to overseas customers. Selling these clothes to people overseas allowed Planet Aid to earn 42 million dollars in 2013 according to CharityWatch. After those customers complete the sale with Planet Aid they can then sell the clothes for however much they want. Planet Aid claims that they don’t give the clothes away to people in other countries because doing so would hurt the local economy. Planet Aid also says that their organization is working to save the environment by taking clothes that would otherwise end up in a landfill. According to Planet Aid, American throws out 64 pounds of clothes each year — equivalent to 191 T-shirts — and sending this clothing to recycling centers helps the environment. According to Charity Watch, the high demand for used clothing means that most of the clothes would be swept up by another organization and not end up in a landfill. This argument conflicts with Planet Aid’s statement that the 100 million pounds of clothing they collect each year would have ended up in a landfill and produced 300–400 million pounds of CO2 gas. Part 5: What’s in it for Them? Planet aid is a non-profit organization whose purpose is, “To support development projects … and protection of natural habitat through the recycling of used clothing” (American Institute of Philanthropy). But how do they make money? What’s in it for Planet Aid? The answer lies in their business model. 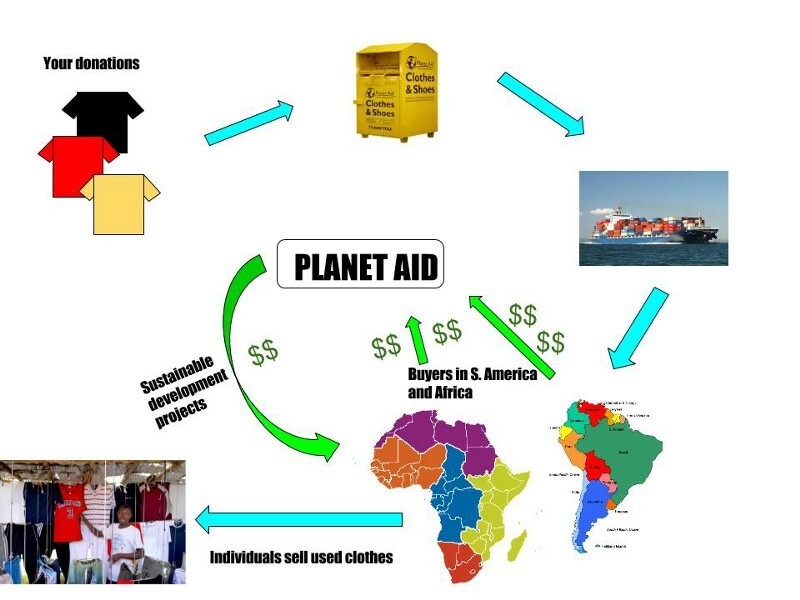 Planet Aid collects donations of used clothes, sells them to clothing distributors overseas, and then donates a portion of the profits to programs that help the environment and underprivileged people. The rest of the money they make goes into paying employee salaries and improving their own facilities. So Planet Aid’s business model, really, is getting clothes for free and then selling them for money. Planet Aid Received an F rating by the AIP (American Institute of Philanthropy/Charity Watch). 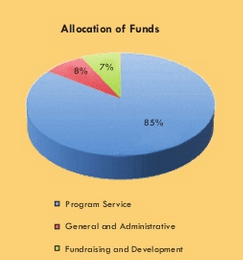 Charity Watch reports that Plant Aid has 23% program ratio (the ratio between the expenses of the organization that are required to keep it running versus the amount it give to people in need) because most of the money Planet Aid claims they spend on charity is actually put towards clothes collecting, which is not a charity expense. Charity Watch believes only about $2 million is put towards funding people in need overseas. But Planet Aid thinks it deserves a 94% rating in its counter argument. Planet Aid reports that it spent 84% of its expenses on its charitable programs, but Charity Watch says it spends only 29% of expenses on charity. Planet Aid’s 501(c)3 non-profit status should mean that all revenue not given to charity goes to workers’ salaries within the company. Planet Aid themselves report their total yearly (2013) expenses to be around $46.5 million. If Charity Watch is right, only $13.5 million (29%) is actually going to charity: so where does the other $33 million go? According to Non-profit Quarterly and Indeed, $17 million goes to employee salaries, which leaves $16 million. But Planet Aid reports spending $26 million on the clothing collection program service. Where is the other $10 million dollars going? We set out to solve what appeared to be a simple mystery: what’s the story behind the yellow metal bins dotting our landscape in recent years? What we found were several difficult answers, without a complete solution. Planet Aid, unsurprisingly, makes money from the bins; its work collecting clothing doesn’t look much like charity. However, by connecting items of little value in one place and selling them for a profit elsewhere (what an economist would call an “arbitrage opportunity”), Planet Aid is playing the essential role of the middleman. As much as we might resent their work, making money simply by moving the clothes from one place to another, Planet Aid’s self-interest connects willing dotations with willing buyers and makes the market more efficient by eliminating waste. 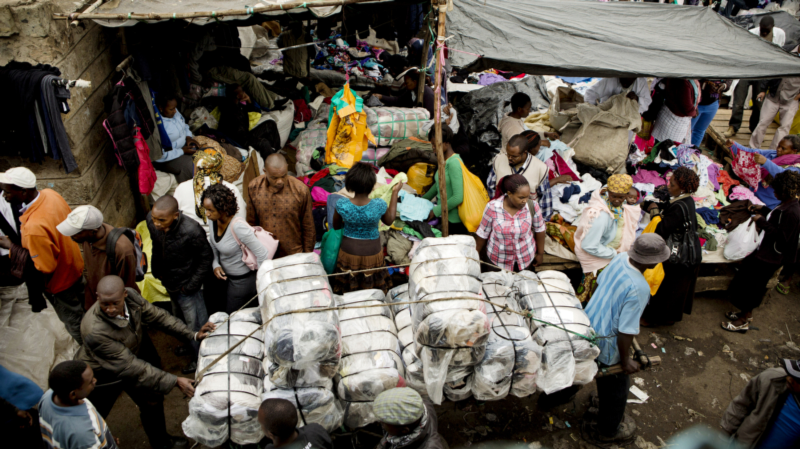 The cheap used clothes sold in Kenya, in the view of a free-market economist, make Kenyans richer by reducing their cost of living, and free up their money to spend on other things. The cheap clothes may well benefit (even if only a little, at the margin) Kenyan restaurants, farmers, cellphone kiosks,universities, etc. Our research suggests, but can not prove, that Planet Aid’s considerable earnings do in fact “inure to”(or benefit) a few well-positioned individuals at the top of the organization. But if they are running a scam, they’ve also been able to outsmart, or outlast, the law. For all the internet rumors, condemnations and conspiracies, Planet Aid appears to be thriving. A free market economist might point to Planet Aid as yet another perverse result of the government’s interference in the market: unenforceable rules and unintended consequences. That the used clothing market has spawned so much intense competition — there are a number of other metal-bin non-profits getting into the game — suggests that the going price for used clothes (subsidized by the companies’ tax-free status) may be well above what a truly free market would bear. And without these subsidized, cheap clothes flooding their markets, some would argue that the local economies of countries like Kenya would be better off, since Kenyans would be producing and selling their own clothing. As in every economic story, we can find evidence to support more than one political view. Liberal and conservative economists each have their own persuasive logic. But there is one undisputable conclusion from the Planet Aid story: people in far-away countries are willing to pay for the items we consider trash. They value our discarded clothes enough to justify the expense of elaborate collection, sorting and transport. This is plain evidence that we live in an age of vast interconnection and vast inequality.